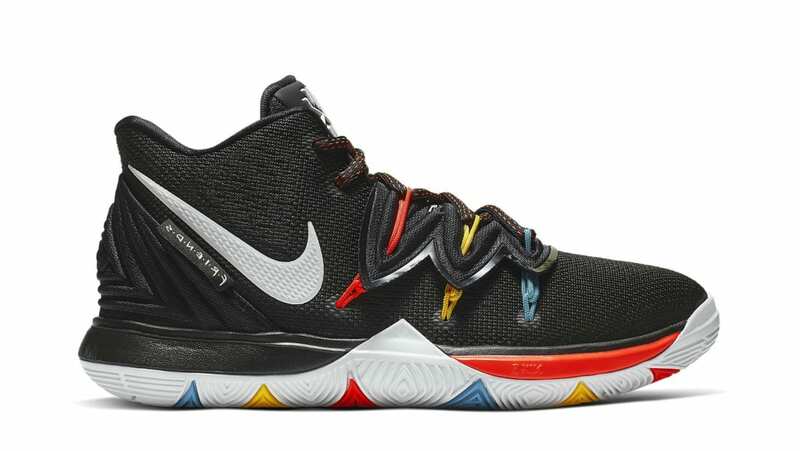 Nike Nike Kyrie 5 "Friends"
As a nod to Kyrie Irving's favorite '90s sitcom Friends, the Nike Kyrie 5 will sport a black-based upper that's accented by multicolor Flyknit in teal, yellow and orange seen within the midfoot's Flytrap design. The Swoosh branding appears in white, which includes Irving's logo on the tongue, alongside the official Friends logo on the heel. Release date is Apr. 2019 at a retail price of $130.